I have a second-round interview next week for a position I am really excited about. Part of the position requires supervising the day-to-day work of undergraduate students employed in this academic department. Supervisory experience was not listed as a requirement in the original job posting. I specifically addressed my lack of management experience during the phone interview last week, and was told that experience is not expected of applicants. I was just sent an email with our schedule for the interview next week, which begins with a “conversation with current student workers,” which surprised me. I’ve since been told by friends and current colleagues that this isn’t unusual, but I’m still confused about what to expect — especially because this is the first thing I will encounter the day of the interview. I’m preparing to talk about the management style I appreciate from a manager, but as I have no management experience, I’m not really prepared to give examples of my personal management style. Any insights? Student workers probably aren’t going to be conducting a formal interview of you — it’s more likely a chance for you to get to hear about their work straight from them and get a feel for that part of the job. I’d focus on asking them questions about their work — what are the challenges they’re facing with it? What’s most helpful to them in a manager? Etc. 2. Am I right to be upset? I’m in a fixed term contract covering maternity leave and found out via Facebook wall posts from the colleague I’m replacing that she will return to work on a certain day and has been in contact with my boss about it for weeks. My boss still hasn’t told me anything. I can’t help but feeling upset and disappointed about my manager’s poor communication skills and no longer feel motivated to put any effort in completing my work tasks for the 2 months remaining in my contract. I’m wondering — do I have a right to be upset or do I just have unrealistic expectations as I’m in a fixed term contract anyway? Should I say anything to my boss? If you have two months remaining, it’s not a huge deal that your manager hasn’t yet nailed down a specific last day with you yet. But if you’re saying that the colleague is coming back much sooner than that and you’ll be out of a job sooner than planned, then yes, you’re absolutely entitled to be annoyed that no one has told you. But “entitled to be annoyed” doesn’t equal “entitled to stop putting in any effort in completing your work.” As long as you’re being paid, you’re expected to put in effort — and you’ll harm your own reputation if you don’t. Why don’t you go talk to your manager, explain that you saw the colleague’s Facebook post, and ask for an update on what it means for your situation? My husband and I work in an industry where couples are often hired together — on-site motel management. Recently, I’ve started seeing these jobs advertised asking for a resume along with their application (this has not been common in the past for these kinds of roles). My husband and I each manage different parts of the accommodation manager role — we have complementary skills that we have gained from our professional backgrounds in different areas. My question is — should we have a combined resume? Or send in a resume each and tie them together in our cover letter? Nope, individual resumes for each of you. But if you’re applying as a team and it’s normal to apply as a team, it sounds like one cover letter would be fine. I work for a very small office, but recently our workload has increased enough to warrant an additional hire. This person’s time is supposed to spent half time helping another department and half time helping my department. This person has never received any training for our department and I’m noticing daily (at least) mistakes. I spoke to my boss about his errors and explained that I thought our department could benefit from some additional rules and oversight so as not to single him out, but rather get all of us on the same page. She agreed, but nothing has changed. She has yet to have a sit-down conversation with him and explain some of our processes and rules, and still no training! Truthfully, she sits in her office all day and has no idea what either him or I do with our time, but I’m concerned that his mistakes and the incorrect information he’s giving to customers will reflect poorly on me and potentially cause future issues. I fully believe this situation could be corrected with proper training and oversight from our boss, but I’m hesitating since it may cause issues by saying to her “it’s your fault.” I’m also concerned that I don’t have the authority to correct him myself. I’ve confided in a coworker who’s noticed mistakes and a lack of follow-through from the new hire as well, but her response was “don’t rock the boat.” I’m just not sure what the right plan of action is to stop this from getting any worse. Sure, you can go back to your boss and report that the problems are continuing. But don’t pursue this “not singling him out” line of thought — when one person is making mistakes, the manager needs to explain that to him. That’s not singling him out in an unfair way; that’s just normal management. However, your boss doesn’t seem especially interested in doing the job of a manager, so once you alert her to the ongoing issues, you may need to accept that you’re working for someone who won’t do anything about it. At that point, all you can really do is wash your hands of it (and of course, offer him as much guidance as you can reasonably do and are willing to do). I had serious health problems recently that involved hospital stays and being bedridden. I had been doing an unpaid internship this term. It was supposed to last for 17 weeks for a certain number of hours per week. I ended up being unable to go in for 5 weeks straight. Do I need to address the missed time period if I list this internship on my resume? Like “January-February, April-May,” or would I just put the whole “January-May”? Also, I feel horrible about missing such a significant amount of time, but I don’t want to do extra hours for the rest of the semester or extend the internship to make up for the time I missed (for reasons related to the internship itself, because I’m exhausted, and because I want time to get a paying job this summer). Will it reflect poorly on me to not make up any of the missed time? I feel like I shouldn’t be expected to make up the time since this was beyond my control, but I’m not sure if not making up the time will make me seem less dedicated or like less of a hard worker. It won’t reflect poorly on you. These things happen. Your internship is for a certain number of hours per week and a certain number of months, and I’m sure your employer doesn’t expect you to increase those just because you got sick. You can put “January – May” on your resume, because that’s true. When someone in a regular full-time job misses a long stretch for health reasons (or parental leave, etc. ), they don’t need to subtract that out on their resume, and the same is true here. 6. Do I need two business cards, two websites, and two LinkedIns? I am in my 50’s, and starting in a new field for me, interior design, although I have worked in a design capacity for most of my life. I have an MFA in Interior Design earned in 2010, and a BFA in Graphic Design. I have recently relocated to a major metropolitan city to increase the job hunting outlook and I have been networking and meeting people as best as I can. Does the firm exist currently? If not, don’t claim to be at a fictitious firm that you haven’t started yet. Aside from that, either way is fine. But you definitely don’t need two websites, two online portfolios, or two LinkedIns — that would be weird. I’m wondering if you have any hiring resources for interns — specifically, I’m thinking about some kind of job simulation assignment. Is that overkill for a summer undergrad internship? I’m just having trouble evaluating these candidates since they all have so little experience, and I thought an assignment would help. Yes, absolutely use some kind of short assignment or simulation. It will dramatically narrow down your candidates. Keep it short — an hour or less — and it can’t be real work that you’ll benefit from, of course, but definitely do it. 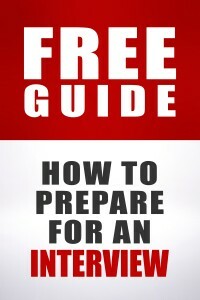 You’ll find it hugely helpful. As for what it should be, it depends on what work they’ll be doing for you and what skills you want to test for. It could be a short writing assignment, a research assignment, a role play of how they’d handle a particular situation, or so forth. On number 3, that’s kind of odd. Most places if they’re hiring pairs (hotels, group homes, trucking companies,) don’t they usually interview together? Wouldn’t a single application package – separate resumes yes, but submitted together be the thing you’d do? As for #6, I agree with Alison. If you don’t have the company yet, don’t put it out as if you do, people will think you’re being disingenuous or trying to snow them if they find out. I see a lot of linked in profiles that list two simultaneous job. The second job is generally a part time business. If they’re in the same field, it seems it would make sense to list both on one document. #1 – When I was in college, I worked in a Student Affairs division and regularly participated in these kinds of interviews. While we did play a role in helping the candidate learn about the school culture and the student body, generally, our role was to help assess fit between the candidate and the student body/campus environment. Does this person communicate in a way that will be compelling to students here? Do her ideas seem like they fit the culture of the campus and office? Does her method of dealing with challenges mesh with how that office tends to act when things are difficult? For example, my school was very laid back about most things, so we’d always be on the lookout for candidates who described preferring lots of structure and clear procedure in their work, or who were very “by the book.” They’d be frustrated and miserable, and probably wouldn’t operate effectively in that environment. Of course, this was a very small liberal arts college, so in another environment, students might be looking at something entirely different. Mileage may vary, but this is one perspective straight from the source! I’m a college administrator, and that is exactly why we include students in every interview for every position that we hire. We want to make sure the candidate understands what our students are like- not just the student culture but also what types of concerns/questions/needs the typical student is going to have. The other piece is that we want to give students the opportunity to give feedback on the candidate’s ability to be approachable/accessible to students. If this is a position/office that regularly interacts with students, then it’s important that the successful candidate is someone students feel they can come to for the assistance they need. When I supervised student workers, our office philosophy was that they were students first so if they needed to miss work for school-related activities, we were very lenient. We didn’t, however, allow them to do homework while they were at work. I know they didn’t like that they couldn’t do homework there but most of the work was data entry or filing so they couldn’t have done both. I think most students want to know that you understand the office culture when they’ve been there a while and you’re the newbie. Especially when the culture is to let you off work pretty easily. #1 – I was a graduate assistant throughout my MA program and we regularly met with potential candidates for either teaching positions or project manager type positions at the research institute. From my experience, students are less concerned with your management style and more concerned with a) Are you fun/nice/helpful (insert whatever adjective really works with the culture, that isn’t necessarily to do with skills), b) Do you understand what challenges they are facing? and c) How likely are you to help them figure out those challenges? For example, when we ‘interviewed’ candidates, students really focused on figuring out if he/she was the type of person who could talk about nerdy references and then go for a beer at the local brewery, because that really summed up our culture. Then, we were concerned that this person wouldn’t listen to the students and didn’t ‘see’ that we were really struggling with the current management and that we had some really critical input that no one was listening to. For example, if the students are struggling with a lack of teapot making resources, and the current staff don’t understand why and don’t think it’s a priority and don’t really understand the nuances of teapot making, then are YOU going to be the person who ‘goes to bat’? Obviously this is all very dependent on your specific role, and we were graduate assistants who worked on campus and weren’t just students, but hopefully that all makes sense. The students won’t care about your management style exactly, they just care that you understand the department and – especially in academia where things move at a glacial pace – are willing to try and push the envelope when needed to get things done. Students are ALWAYS pushing for changes and resolution, but it’s almost impossible in academia (at least in my experience) to create much change. If you seem really ‘by the book’ , then it might not resonate with students who are struggling in a department where things never get done. #7 – I had NEVER done a job simulation in an interview until I moved back to England – all of my interviews were just about my resume, discussion about me/my experience/my interest, and some hypothetical scenarios. Now, interviewing in the UK, I’ve done mock presentations, timed writing samples, grammar tests, verbal reasoning tests, and I’m going to an interview later today where I’ll do my first in-tray exercise (really nervous about this one). I have to say, it’s definitely useful for me as a candidate because I a) prepare a lot more and am more prepared to really show the employer my skills, as opposed to waffling on about them with no real focus b) it gives me a clearer sense of what the job really is and I know what I’d be getting into. For example, I had no idea that I’d have to make presentations in the last job I interviewed for because it wasn’t explicit in the job description, no one addressed it, and it didn’t really fit with the role (it does, of course , fit, but it was only when the employer really got into the reality of the role that I realised how it made sense – you can’t assume that people will understand what exactly the role entails, especially if they don’t know how the departments work, etc. I didn’t know that the department I’d be working for has to pitch ideas to another department, so once I learned about the team structure, it made sense), but it was sprung on me at the interview. I was very, very glad that it was because I wouldn’t have liked to discover this on my first day. Another example would be doing a data input exercise, which I’ve also done. Especially if your interns will be doing ‘boring’ work like that, but work that requires consistency and accuracy nonetheless, I think that might be helpful. Interns tend to think they are doing more glamorous work than they really are, so if the job involved any data entry (just an example), then doing a simulated exercise would A) Weed out candidates who were bored and didn’t want to do anything ‘menial’ and B) Help you see who is detail-oriented, methodical, careful, etc. Obviously that’s a very specific example, but I remember in one of my last jobs, “some data entry” was listed as a responsibility. Well, especially for new employees, it was a LOT of data entry and it had to be done very quickly. People will always say they are good at it, but when we hired someone new and sat them down with a stack of forms and a laptop, they actually were quite slow and inefficient. Doing these forms quickly was absolutely essential to the role, but since a) it wasn’t really a key part of the role (meaning, it was important and there was a lot, but it was important in the sense that it had to get done in order for other things to work) and b) no one thinks they are bad at typing up a few forms, we never really discovered who was good until they were already hired. YIKES, sorry for that long comment. I had no idea I was so passionate about interview simulations. OP#1. I was also one of these “student interviewers.” In my case we didn’t sit around asking the applicant typical interview questions, but it was more an opportunity for the hiring committee to observe how the applicant interacted and connected with students. And for the students to provide the hiring committee on their impressions. It was a pretty laid back, lunch session in my case, at a very large university. But b/c this particular position was for one of the smaller, very multidisciplinary programs on campus it was very important the person was a good fit for working closely with students. Yes, this exactly. I worked in my university’s athletic facilities all through college, and was on the student employee committee that was part of the hiring process. Usually, they’d have us interview the candidate to help sort out people who wouldn’t be a good culture fit. My advice to OP#1 is to treat that interview seriously – we had a candidate who seemed to feel that the student group interview was a waste of time (compared to interviewing with management), and wouldn’t warm up to us at all. She missed the point – part of the job in supervising student employees is seeing how you actually connect with students. #2 – It is possible the colleague is only coming back part-time to ease into work. So you will still be needed. As well, perhaps they want to make a smooth transition from your work to the one coming back. #2 the other possibility that the return date for the mat. Leave wasn’t mentioned yet may be that they are looking internally to see if there is anywhere else you could be useful (including another mat. Leave). I have had temporary contracts turn into something else in a different department (including one where they changed language requirements to allow me to qualify) and my supervisor didn’t want to mention anything until it was confirmed. My rule of thumb for any contract position is to treat it as a long interview process where my skills and work ethic will influence whether or not I get the next job. I have seen too many temps loose out on possible permanent positions because they start to “slack off” because the future potential was not obvious at the moment. #2 Sounds like someone would rather be irritated than informed. but couldn’t the manager have communicated this with her or couldn’t the person she was replacing email her privately instead of putting it on her facebook wall. *Posting work related stuff on my facebook wall is just as irritating as it is informative. This is my social media outlet not intended for work purposes. It’s like being out with your friends and your boss walks in with a memo for work… Sorry it’s a pet peeve of mine because I have a co-worker like this who constantly tags me or writes on my wall about stuff related to work. agreed. Sounds to me like they feel entitled to not get 2 months notice of a position ending when they knew the position was temporary. On #6, for your personal business I don’t think you should make up the name of a company – just have your name and a phrase like “Interior Design” underneath it, plus contact details. On the websites, this is as much a design question as a jobs question. View it as a design challenge. What are you promoting? Can you showcase both aspects of your work on a single site in a way that’s clear? Etc. You presumably have skills in design processes/developing design requirements with clients. Do that with yourself. Yes, exactly. And I’ve seen several designers’ websites that listed examples from different mediums. It’s a great way to showcase your versatility. I agree with JT. I’m a full-time graphic designer with a non-profit, but I also do design on the side. My business card just says “Graphic Designer” + contact details and my personal branding. I do everything from web and print design, to illustration, to environmental signage etc etc, so my site is divided up by project type. That’s pretty common and I think it would work well for OP. Agreed. Putting it all together in one website, linkedin, business card, etc. is just fine. It shows you have creative and design versatility and these are certainly complementary fields. It’s easy enough to create a sortable portfolio and tag each project with the appropriate descriptions. I’ve seen this pretty frequently among creatives (myself being one of them). It’s pretty typical for creative types to be skilled in more than one creative area and to showcase it as such. Re #2: unfortunately this seems to be common to treat contractors this way, at least in the IT world. I’ve heard people report this kind of treatment all too many times. I prefer to be a full time employee, but did do one 8-month stint as a contractor a couple years ago. After I was hired and already working, I discovered that instead of the 6-month contract I was told I had, the client company felt it had the right to change the terms on an as-needed basis. They seemed to get around contract law with this by calling it a “work order” instead of a contract. But anyway, that’s how my 6-months stretched into 8. And also when they were ready to let me go, instead of telling me, they told me to call my contracting manager. I had been reading big, bold signs on the wall for a few weeks, so it wasn’t a surprise. But the way they treated people left me quite unimpressed with the company, so now I won’t work for them even as an employee. #6, while one LinkedIn is fine, I think you definitely need two websites/portfolios. As someone with two different simultaneous careers, I can attest to that fact. This is primarily because your target audience is going to be different for each business, and there’s not going to be a way you can effectively inspire people to take two entirely different courses of action with one website. Certainly, include a link to your graphic design site from your interior design site (and the other way around), since you never know who’s going to need both, but if you try and speak to everyone on your website, you’ll end up selling to nobody. I would agree with this if we’re talking about actual business websites – OP#6 may need to separate those out in order to clearly delineate the businesses. From what I can tell, the only one she is attempting to pursue as a business is interior design, so once she establishes that business, it makes sense for it to have its own website presence (including a website, Facebook, pinterest, etc). It sounds like she’s simply trying to get a graphic design job at an already established company, rather than striking out on her own. So, for that I’d say a combined website that serves as a portfolio with some about and contact information is just fine. This is certainly something that can be done on one site with sortable galleries and such. I have this for myself – a portfolio site that showcases everything I do plus a business site for my part-time business, so it might be something that OP wants to think about doing long-term. web presence* not website presence. 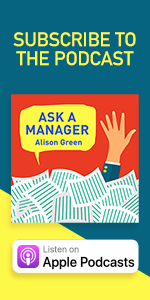 #1: Involving students in the interview process is completely common in the academic setting, and Alison’s advice is very good. Most students don’t have interviewing experience (on either side of the interview table), so unless they’ve been given a script in advance, I wouldn’t expect too many formal questions. This is an opportunity for them to interact with you and get a sense of your personality and what it would be like to work for/with you. That said, do NOT underestimate the role student input can play in the hiring process. The decision-maker will very likely ask them for their feedback, so be genuinely engaged with them and don’t treat your time with them as less important than the other aspects of the interview process. As an undergrad, I was on the interview committee for a high-level administrator. One of the finalists was very condescending towards me (always in shock that I knew anything). This was no small part of why she didn’t get the job. Regarding some of the comments about #2, I’m not sure people are keeping in mind why companies use contractors to begin with – they don’t want another employee. If a contractor doesn’t work out, it’s very easy to call the agency and have the agency tell the individual not to come back. As the customer of the agency, I don’t want to take on the responsibilities of managing a non-employee (or the corresponding co-employment risk). That’s what I’m paying the agency for. Now, it’s not clear that there is a contracting arrangement in play in #2. There are references to “my boss” so the OP may be an employee of the boss’ firm – or this may be the product of common misunderstandings about the real relationships. It would be interesting to find out that the “boss” with whom the OP is upset has been doing his or her job by keeping the agency up to date on the project status (to whatever level the agency wishes – which could be “Don’t call until the assignment is ending unless there’s something wrong”) and it is the agency that isn’t bothering to communicate with the OP as often as the OP would wish. This would be absolutely normal for contracting arrangements (again, not saying this is the case – just an observation about one possibility). Sharon, you are correct that this treatment is common in the IT arena – and in other areas that use a lot of contractors. However, the benefit of these arrangements for the individual is that you can also choose your assignments – and choose whether you want to accept a proposed extension to your work order. I don’t know if there were other things in the environment that caused you to give this company a poor rating on its handling of people, but nothing in your post would have caused me to reach the same conclusion. The treatment you describe – including having your actual employer give you the news about the end of your assignment – seems completely appropriate. Some well-written contracts with agencies even require the agency to handle all of these types of managerial responsibilities. #4. If your boss isn’t training the new guy, why aren’t you? This is an opportunity to make your work-life easier, eventually. It’s also an opportunity to show initiative and leadership. 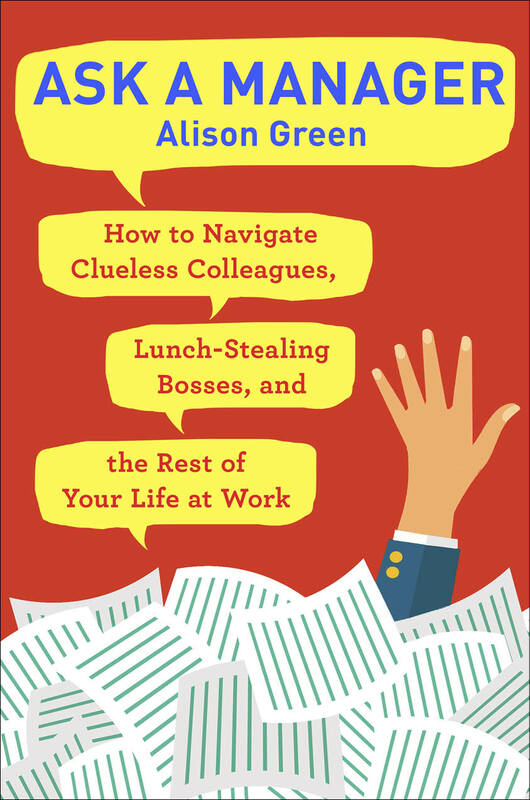 While that may not be noticed by your boss directly, it may be noticed by others. – It’s not the OP’s job. The OP mentioned that he doesn’t have the authority to correct the employee himself. Sometimes stepping outside your job description can have bad side effects. The fact that the coworker said to not ‘rock the boat’ means that this company may have such a culture. -The OP may not want to show initiative and leadership in this area, because doing that will get him more responsibility in that area, which may not be the direction he want’s his career to go. Get a reputabtion for training new employees and you get stuck with it forever and don’t have time to get involved in other projects. -The OP may simply not have the time to train employees. -The OP might not have the skills or talent to train people. Your first reason is something I hate to hear. I’ve helped/trained many people that I have no actual authority. At the end of the day them understanding and know how to do their job makes my life 100 times easier. The rest of the reasons I understand. Being stuck in the trainer role can definitely be a drain. I got that out of Scott’s comment. But there are ways to work around the “you’re not my boss attitude” successfully. I’ve done it. But there are ways to work around the “you’re not my boss attitude” successfully. I think darsenfeld below hit the nail on the head with his comment likening a workplace to a sport team. Maybe if the OP makes it Very Clear to the coworker that Coworker can come to the OP with questions, maybe they will do so more often? I agree in general. But any coaching IMO should be conducted in an informal sense. Only their unit manager can formally train/coach the poorly-working co-worker. I also agree that it’s a good opportunity to learn leadership skills. Scott, I agree with all of your reasons. I am in such a similar position, and when I start trying to either point out or help my coworker not to make those mistakes, then I start to feel like I’m micromananaging someone I’m not even managing. About three years ago, our department had a poor performer who was really damaging unit morale. He was a trainee, nonetheless he had the same rights and responsibilities as usual staff. Our unit actually sat down with him on a number of occasions to point out his poor work, and to coach him onto a better path. In the end though, he was fired since he had no will to absorb the points that either us or our manager made to him. Nonetheless, it is possible that co-workers can assist/coach colleagues to perform better, or raise their bar. And to some extent, it’s human nature. It’s like being on a sport team, and the captain/senior players giving advice to younger players, even though the team manager/coach has ultimate responsibility for this. I like this analogy … it emphasises more of a “working together” aspect, rather than a “telling someone what do to aspect” (which I’ll admit is a line that I struggle with, especially since I have worked independently for so long). I’m fascinated the motel management business works this way; I had no idea. Is the idea that you live in the motel as a couple and keep it running, kind of the way you would were it a bed and breakfast? Especially if it’s a small place or part of a campground, or has small bungalo type buildings. They keep people on site for repairs, etc. It works out nicely for smaller places, if they have a couple because they can take opposite hours, or one has different skills to the other. Room/board of some sort is usually part of the deal. I know a number of the bigger campground companies have live on managers. On the other hand some of the larger hotel groups particularly resort type places also have live in management. It’s part of the 24/7 high class service model. To have someone you can go to at any time. particularly small motel and hotels (not your big names) have this type of management. I’ve worked for a couple of large (Big Name) hotel groups and they are more often run by management groups/companies, none of my GM’s ever lived in the hotel unless they had relocated to the company and were in the process of finding a home. It’s also common for rich people with big houses to hire a couple as a chef/housekeeper or nanny/gardener (or whatever) combo. I have some married friends who did this. I imagine it’s the same rationale for the employer: if a couple can find accommodation and jobs in the same place they’re less likely to move on quickly. Number 4 – Some managers are simply not good managers. You could try coaching your employee yourself to a minimal degree, by pointing out the mistakes and showing him or her how to rectify them. IMO, co-workers should to some extent “show others the ropes” be supportive in that regard. However, this ultimately is dependent on your manager and not yourself. It’s probably best just to mitigate the impact that your co-worker’s errors have on you. As long as you are not also blamed for them, nor do they compromise your own work performance, that’s probably the best you can do. Regarding number 7, well selection methods should always be tailored to the job requirements, as any HR professional would tell you. If a simulation will inform you as to who will perform best in the job, so be it. As in any recruitment and selection decision, you need to be sure of the best fit available. Re: #4 – it’s possible your new hire is just as frustrated by the lack of training as you and the rest of your coworkers are, since few people like to be left in the dark about the right way to do their work. If there’s a way to give him some guidance in a “coworker showing you the ropes” kind of way (as opposed to a “you’re screwing up and I’ve taken it upon myself to manage you” kind of way), you could be doing both of you a favor. It’s no substitute for proper management from your boss, but that might be a long time coming if at all. Number 1 – Having been a student in several of those interview committees in college, the student panel meeting isn’t likely to be a formal interview; it’s more to figure out if you’re a good fit culturally. Ours were normally a group of students and the potential hire meeting and talking for an hour or two. This is your chance to see what the students you’d work with are like, and a chance for the college to get student feedback on how well you’d fit in. I know that at my small, liberal arts college the student feedback was taken seriously – if the students didn’t like a candidate, it would generally disqualify them. Unlike a corporate job where a new manager could be brought in to make dramatic changes in a department, colleges are usually aiming to maintain the status quo and keep their student populations happy. It’s a strange situation where the student employees are also (very indirectly) paying part of your salary with their tuition, so the college wants to make sure you’ll get along with them, and not drive away the top students or potential new students. Does anyone else tire of hearing “it is only a piece of paper”? I know I worked pretty dang hard for mine. There is one manager at my company that loves to put down college degrees. He’s also the only one without a degree. Anyways, my diploma is not hanging in my office but no one in my workplace has theirs hanging up either. I have mine hanging in my master bedroom closet where I can see it everyday but no one else has to. My diploma is hidden in the back of my closet because I feel like it’s just a piece of paper. I realize it’s supposed to represent a big accomplishment, but it doesn’t make me happy or proud to see it. It feels like getting the degree was just a required step in life, and it was one that hasn’t benefited me thus far, so the paper is pretty meaningless. Maybe other people can’t appreciate diplomas’ significance for similar reasons. No. 2 – the terminology makes it sound like you are UK based. If you are, then your FTC should have an end date in it (possibly 12 months from when the person you’re covering left, as that’s the max entitlement and manager would assume that their employee is taking their max mat leave). It may not be great that you don’t know yet, but until you are told otherwise, you can simply assume that you are leaving on that contracted date – they’d need to give you contractual notice to finish your contract earlier, so unless you’ve had that the date the other employee is coming back doesn’t necessarily change your circumstances. I am OP #6. I have done freelance work as an interior designer, but was paid directly, not through any company name, and so the company doesn’t technically exist yet. But in this field, you often need a company name and bank account to place orders with vendors or to attend some design conferences, so there are other reasons to go ahead and establish a company and a track record, even if it is only a fledgling company with clients few and maybe far between. To add to what I am feeling is the “grayness’ of this type of situation, lots of designers were laid off, and started their own companies out of necessity, only to be hired back into a firm a few years later. So there are plenty of people who both have a company AND are looking for work. Part of the reason for my question was my concern that a potential employer would perceive someone with a company as a sideline, as someone who wouldn’t be giving their “all” to the job. Thanks for the responses and feedback. Thanks for the answer, Alison! I was thinking that since the internship is a shorter amount of time than an actual employment, that missing a sizable portion of it would be a big enough deal that it’d need to be mentioned on a resume. I’m glad I don’t have to subtract the time. It’d be awkward to have to explain the missing month.